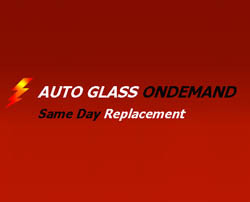 Auto Glass Ondemand offers fast, professional, friendly and mobile auto glass car window replacement, car window repair and windshield replacement with oem parts or equivalent in los Angeles County, Orange County and Ventura County. Whether it’s at the convenience of your own driveway or in the parking facility where you work, we bring our auto glass expert service to you. We specialized in high end cars with built-in devices such as Rain Sensors, Heads up Display, Night Vision, GPS, Onstar, Antenna, Heater, Lane Departure Warning System etc… Get your car window replacement and windshield Replacement today. Mobile Auto Glass Los Angeles and sorrounding cities.